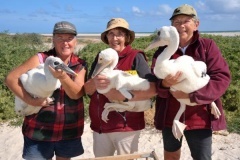 This picture was taken in Port Adelaide at a Pelican breeding site, which is being monitored by volunteers. “Whale Sharks”, a BIG Wave film Produced and Directed by the talented Emma Ross, featured Dr Mark Meekan from the Australian Institute of Marine Science (AIMS)This 2007 production called me in for the Christmas Island section of the film when Rory McGuinness the main DOP was unavailable. 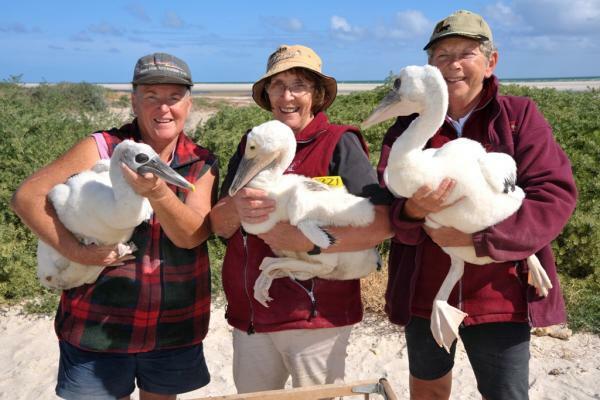 Despite the size of these animals very little was known about where they go and what they do. By fitting underwater tracking systems and even miniature cameras to the Whale Sharks we try to answer these questions and explore their world. Whale Sharks visit Christmas Island around the time the Christmas Island crabs spawn. 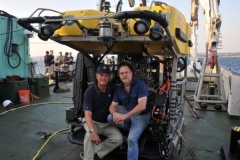 Aboard Dr. Bob Ballard's new ship "The Nautilus" in the straits of the Dardanelles, we search out and film a variety of shipwrecks including the famous Australian submarine the AE2, the Breslau and we discover for the first time the HMS Irresistible. Robert Ballard discovers some of the reasons why the British run operation was such a disaster and we follow him as he examines the story of the Gallipoli campaign from a naval perspective as we search for and document shipwrecks from this World War One battle. 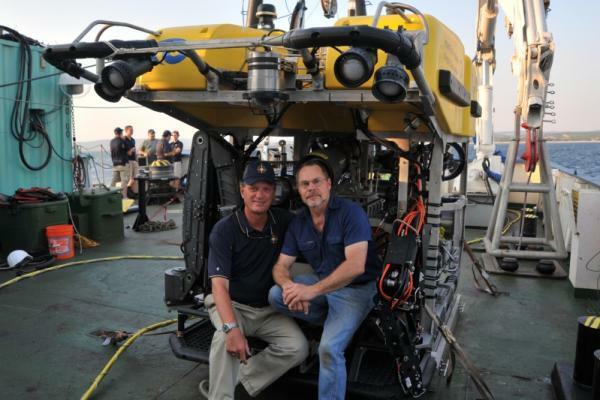 This is one of Bob Ballard's deep water remote camera systems. Used to find shipwrecks around the world. Click here for more information about Gallipoli's Deep Secrets. 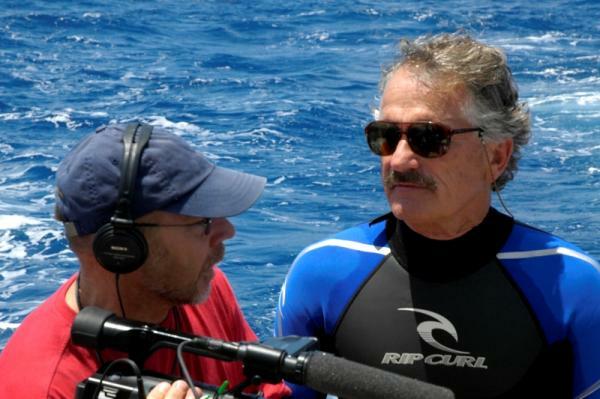 Working with award-winning filmmaker and Marine biologist Rick Rosenthal on his film “Superfish” was a great delight. Rick is one of nature’s most passionate film makers and spent over 2 years to complete this difficult project. “Superfish” goes in search of open ocean predators’ known as Bill fish and Rick came to Australia in search of Giant Marlin off the coast of Cape York Peninsula. Narrated by sir David Attenborough this exciting film is a must see for people who care about the oceans. Superfish, Ocean predators was a co-production of the BBC, PBS and NHK with Wild Logic. Rick Rosenthal came to Australia's tropical north in search of Giant Marlin and Billfish which are common in those waters. Working in Tasmania with Explorer Paul Rose and a team of experts including Philippe Cousteau, Tooni Mahto, and Dr Lucy Blue on the section of the BBC Oceans series. Here the divers enter the water off Tasmania’s rugged coast to dive on a shipwreck The Nord, which sank after hitting an uncharted rock in 1915. All the ships crew were safely rescued however and the wreck is largely intact in about 40 meters of water. 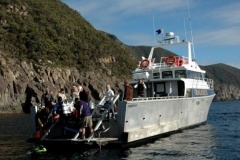 The best way to visit the wreck is with the support of the Eaglehawk Dive Centre on the Tasman Peninsula. The Executive Producer of the series was Anne Laking and the Series Producer was Helen Thomas. As part of the BBC's Oceans series Paul Rose, Philippe Cousteau, Tooni Mahto and Dr Lucy Blue explored the cold waters of Tasmania. 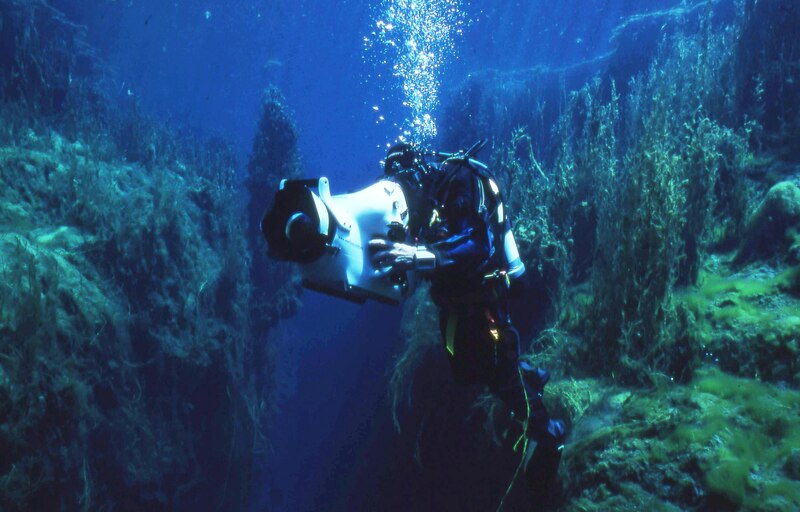 Piccaninnie Ponds and Ewens Ponds are two of Mt Gambier's most popular freshwater diving sites in the south eastern region of Australia. At Picaninnie Ponds, you can swim across the chasm and dive down to explore the large underwater cavern named the Cathedral. 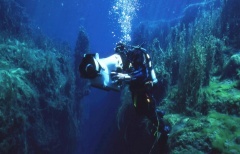 South Australia's Mount Gambier has some of the best cave diving available in the world. For this film we featured Piccaninnie Ponds and its beautiful underwater caverns.